Send to TV is available to all subscribers on our current plans. If you're on a legacy plan and want to use this feature, you'll need to switch to one of our newer plans. If you’re using our recommended device (the ASUS Chromebit), or another Chrome OS device, you should follow our walkthrough to connect your device. To display your dashboard, follow these steps. Open a browser on the device connected to your TV. 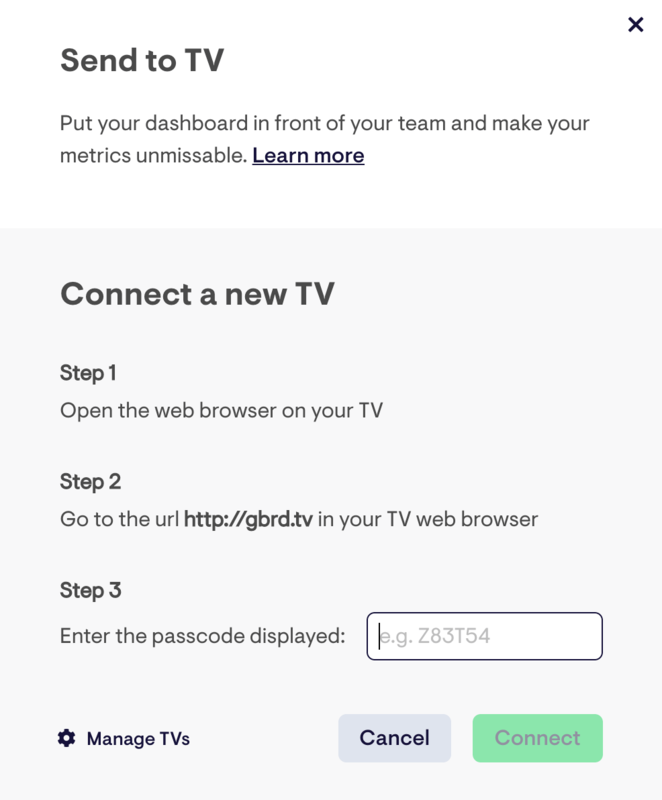 Enter gbrd.tv into the address bar of your browser and press Enter. You should now see a passcode on your screen. 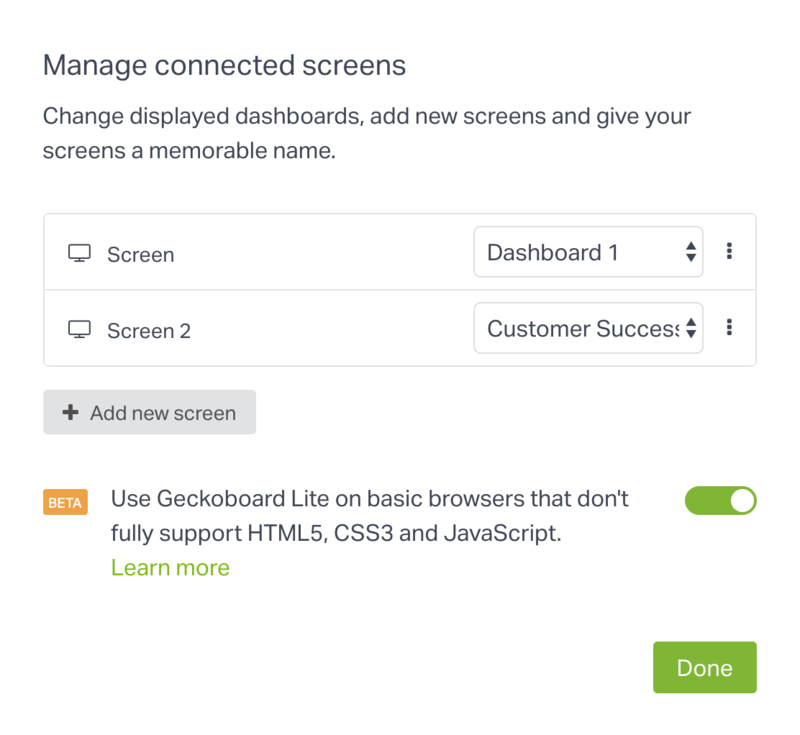 On a different device, login to your Geckoboard account and click Send to TV in the top right area of your screen. 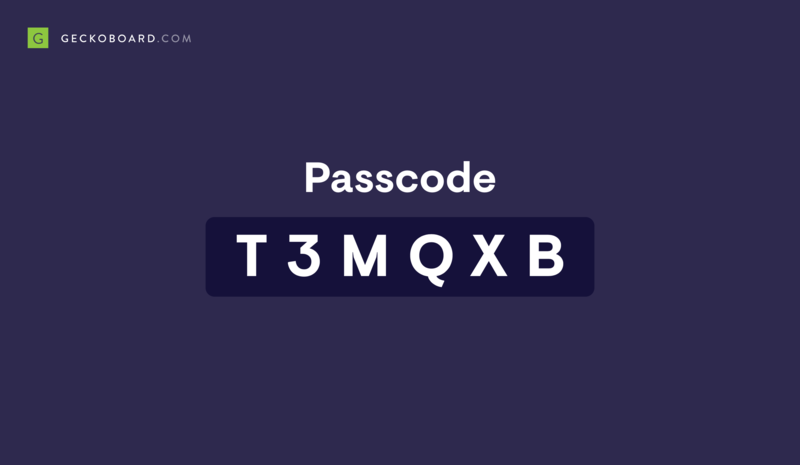 Enter the passcode on the screen that appears. If you already have screens paired, you'll need to click Add new screen first. Your screen is now paired and will display the dashboard you’ve currently selected. Do you have more dashboards than TVs? Why not create a loop – perfect for cycling through multiple dashboards on a single display. To display a different dashboard or dashboard loop, click the dropdown list beside the device you want to display it on.